The first season of the ABB FIA Formula E support series begins with the first of 10 rounds at the Ad Diriyah E-Prix this weekend. Jaguar will enter a car at each race reserved for “famous faces from the world of motorsport and beyond”, according to the manufacturer, with Powell handed the first one-off drive. As well as previously announced squads Rahal Letterman Lanigan Racing, Jaguar Brazil Racing and Team Asia New Zealand – which will field Simon Evans, elder brother of Jaguar FE driver Mitch Evans – there are also teams from Germany, China and Saudi Arabia. 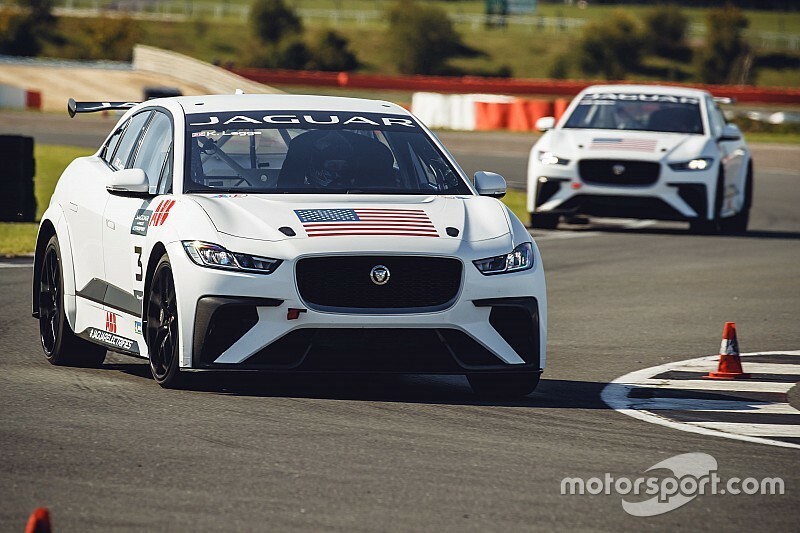 Martin, previously employed as a test driver for Jaguar’s XE SV Project 8 road car, will race for the Viessman Jaguar eTrophy Team Germany squad. Team China will be represented by Tao Wang, chief test driver at Chinese car buying service Autohome, and Yaqi Zhang, who recently competed in the Formula Pilota China series. Saudi Racing, which is backed by the organisers of the Ad Diriyah E-Prix, will field Ahmed Bin Khanen and Bandar Alesayi. Katherine Legge and Bryan Sellers had already been confirmed as Rahal Letterman Lanigan’s drivers. “We are immensely proud to reach this historic moment,” said Gerd Mauser, chairman of Jaguar Racing. “We had an idea that we could bring electric production car racing to city streets, and showcase the power and capability of the award-winning Jaguar I-PACE. “This weekend that will become a reality. FE CEO and founder Alejandro Agag added: “Congratulations and good luck to Jaguar Racing this weekend as they embark on a historic first for motorsport and electrification. “We are proud to have them on the grid in Formula E and now with a spectacular support series with the Jaguar I-PACE eTrophy.